For those of us who have some experience with MySQL exporting the data to sql just just a normal way of working. No big fuss, just start phpmyadmin, select export and it’s done. With Oracle is not as easy – you can create dump using exp and import it using imp. Which is useless if you need to modify some data in between. Google suggests many shareware tools to do the export, which will cost you at least $49. I, on the other hand, suggest using Free and supported SQL Developer from Oracle. 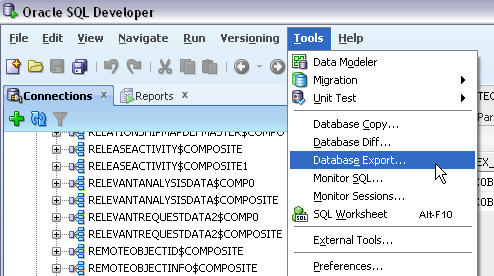 It has tons of great features, one of which is Database Export. Just follow a simple creator and you’re done!